The Toronto Real Estate Board reported 7,228 residential transactions in March 2018. This result was down by 39.5% compared to a record 11,954 sales reported in March 2017 and down 17.6% relative to average March sales for the previous 10 years. The number of new listings totaled 14,866 – a 12.4% decrease compared to March 2017 and a 3% decrease compared to the average for the previous 10 years. 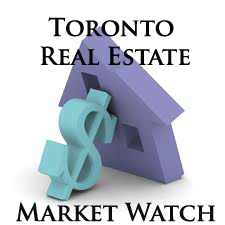 The MLS Home Price Index Composite Benchmark was down by 1.5 percent on a year-over-year basis for the TREB market area as a whole. The overall average selling price was down by 14.3% compared to March 2017. Right now, when we are comparing home prices, we are comparing two starkly different periods of time: last year, when we had less than a month of inventory versus this year with inventory levels ranging between two and three months. It makes sense that we haven't seen prices climb back to last year's peak. However, in the second half of the year, expect to see the annual rate of price growth improve compared to Q1, as sales increase relative to the below-average level of listings.